The first piece I worked on for The Oakland Post, inspired by Bill Cunningham’s “On the Street,” my photos and story were published center spread in the January 25, 2012 issue. 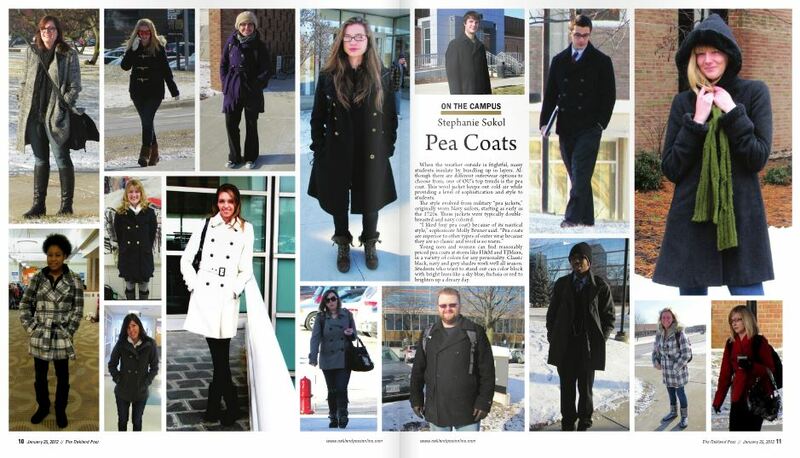 During my time at The Oakland Post, I did a number of fashion photospreads featuring trends on campus. 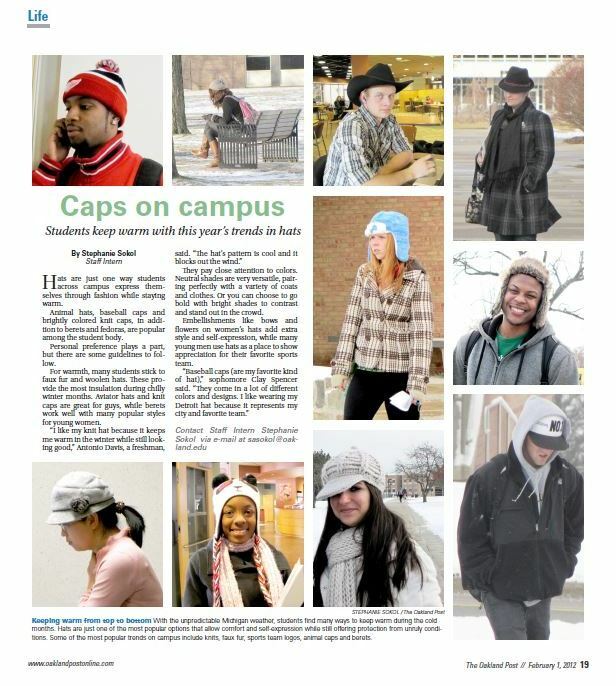 “Caps on Campus,” February 1, 2012. The Oakland Post. 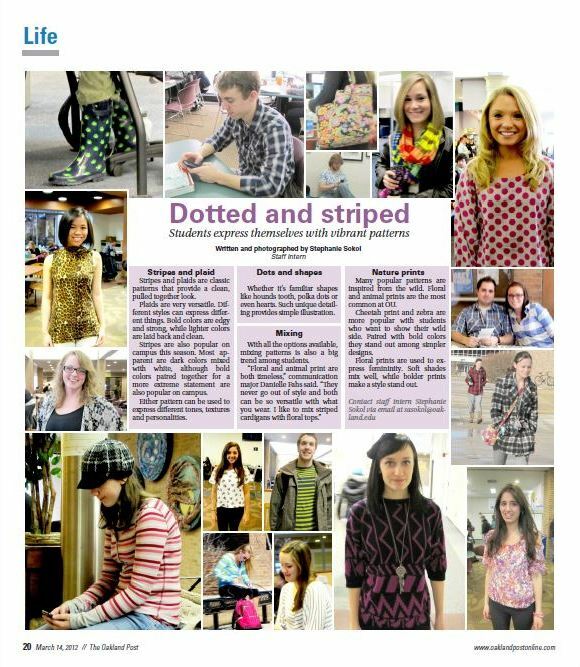 Dotted and striped photospread, March 14, 2012. 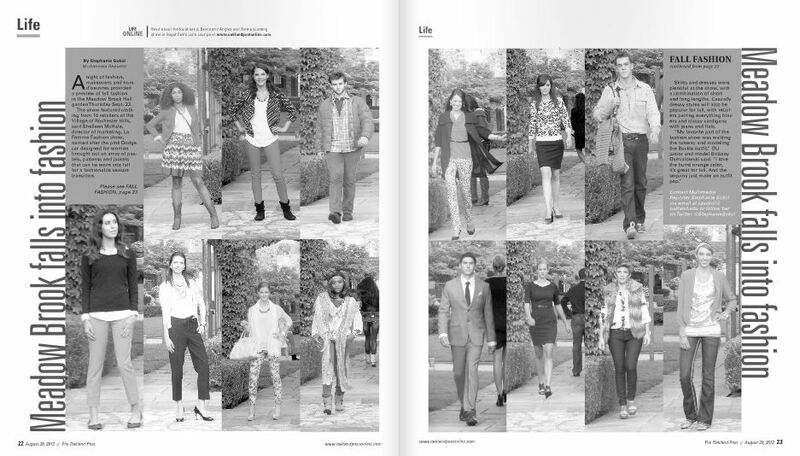 Meadow Brook La Femme Fall Fashion Show, August 29, 2012.